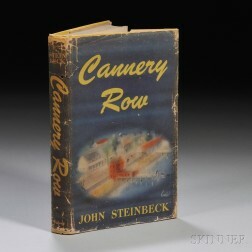 Save your search - find out immediately when "John Steinbeck" is available at auction! Dinesen, Isak (1885-1962) Anecdotes of Destiny , Signed Presentation Copy Inscribed to John Steinbeck. Literature, 20th Century, Six Titles. Franklin Library Leather-bound Books, Including Eight Signed Copies, Twenty Volumes. Steinbeck, John (1902-1968) The Red Pony , Signed Limited Edition. Goldstone, Adrian H., and John R. Payne.